CLOSEOUTS. 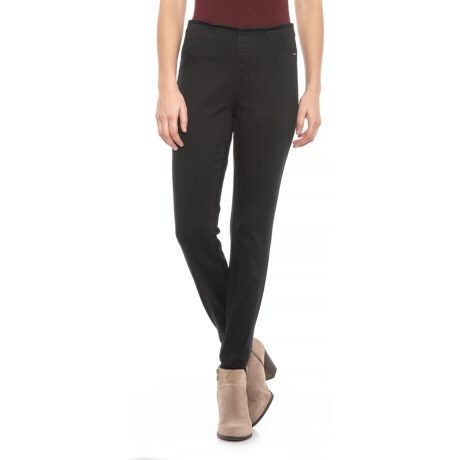 These FDJ French Dressing Pull-On Slim Stirrup jeans slim your silhouette with a leggings-like fit in comfortable stretch denim. Available Colors: BLACK. Sizes: 2, 4, 6, 8, 10, 12, 14, 16, 18.